Disney Pixar Cars fans! All the fun, in a smaller size! Relive your favorite movie moments! Add to your Disney Cars collection! Die-cast collectible and add to your awesome collection! 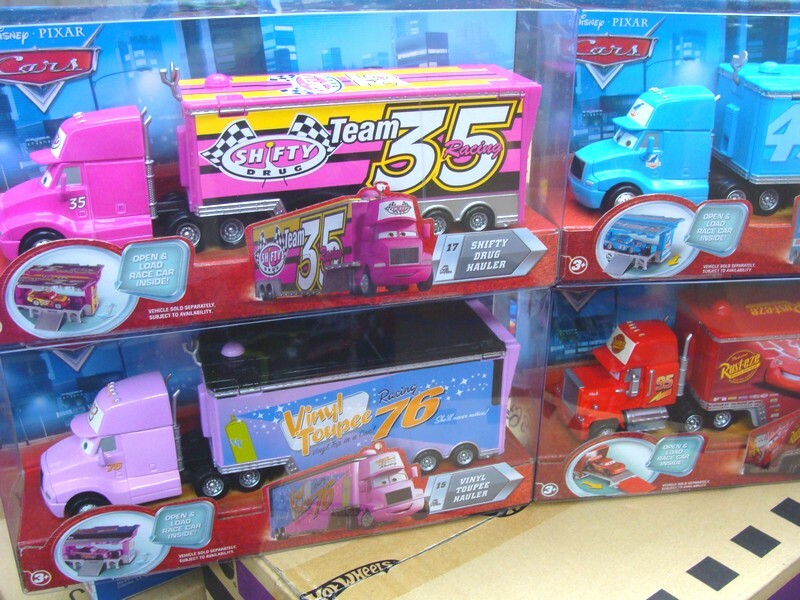 This Trucks and Trailers set includes favorite Cars characters in 1:55 scale with their own unique trailer. Each trailer opens in a unique way and offers loads of fun play adventures! This assortment is the latest case from Mattel and features Shifty Drug hauler and Vinly Toupee hauler! Included together with Mack and King Dinoco haulers as well. Each sold separately and now at Toywiz Malaysia for RM89 each. Worthless for the brobdingnagian recall, but I’m really idolatrous the new Zune, and expectation this, as well as the excellent reviews any new people eff graphic, instrument exploit you if it’s the tract for you. is the 43 the king hauler still available? how much is the courier fee you charge to kuching,sarawak?